Not long now and the kids will break for summer holidays, which means it is time to thank the teachers. There are a 100 different ideas and crafts project around in order to show appreciation to our teachers – I particularly like this Pinterest board – Teacher Gift Ideas. We can chose from handmade cards, lovely notes printed and stuck into small gifts, flower pots, pencil pots etc etc but what about the kids who aren’t into crafts so much? We are all different and some kids simply do not enjoy crafts – they hate drawing, they aren’t good with colouring and don’t even get me started on any work involving scissors. So what is the perfect gift idea for those children? The ones who can’t just work their magic and create something nice? What should they give to the teacher as a thank you for looking after them all year long? 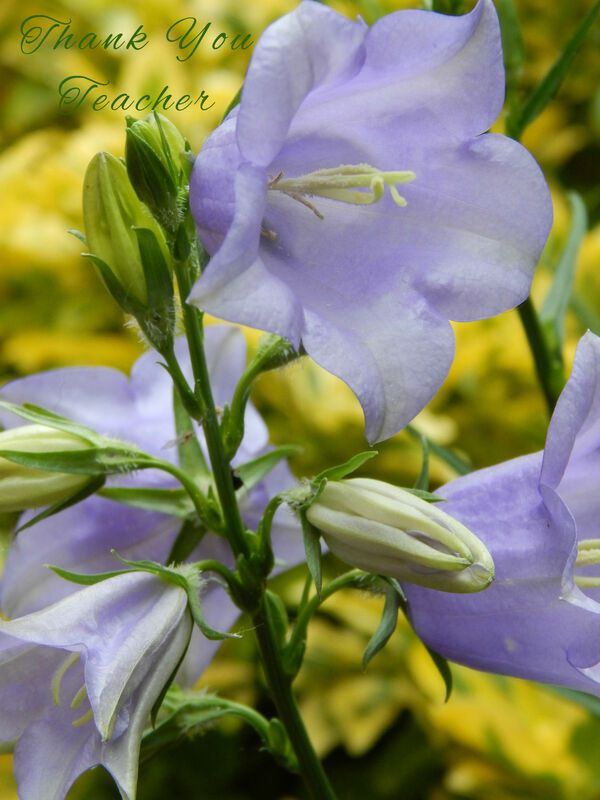 When I was a child we always gave flowers… at the time I didn’t question it, I was given flowers by my parents and I gave them to my teachers, it was something that everyone around me did, so it was ok. But as I got older I started to question this weird, to my eyes anyways, tradition. Flowers are beautiful I agree but if you get 50 or so bunches of them in one day you simply can’t appreciate them all. I remember in my secondary school we used to help some teachers to carry all their flowers home, as there was so many of them that they couldn’t do it by themselves. By the end of secondary school I didn’t want to give flowers any longer, I thought that this is simply a waste of money. I remember asking my parents to get me a small box of chocolates and a rose for each teacher. Yes, I stuck out a bit from the crowd but I am sure most of teachers had more pleasure from a lovely piece of chocolate that yet another bunch of flowers. Flowers might be a nice idea, especially if you can take a nice walk the day before and pick them up yourself… a small bunch of wild flowers from the fields… oh this would be a lovely gift. Cards – they are always good in the UK it seems. If you can’t make one just buy one. Or my favourite choice – chocolate. There are a lot of chocolates on the market. You can pick a straight forward bar of chocolate or try to surprise your teacher with something more sophisticated. 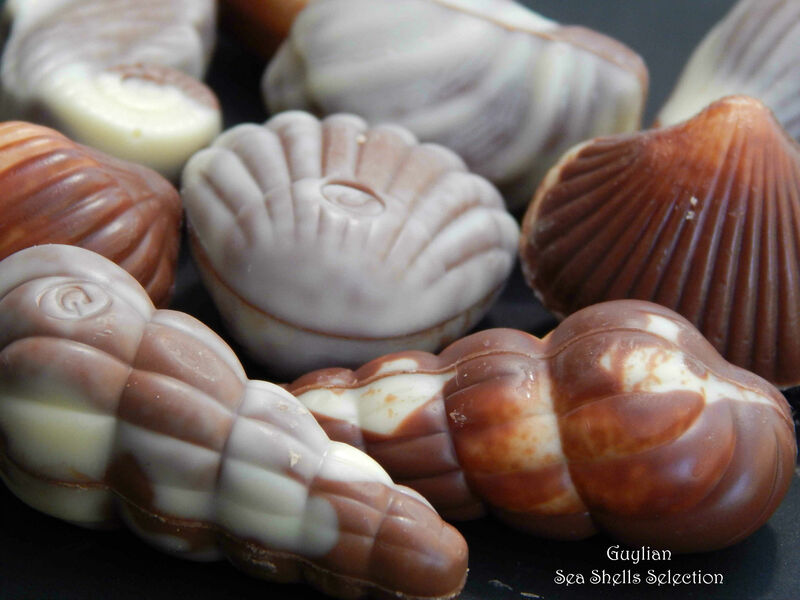 Lately we were sent a box of Guylian Sea Shells Selection. They look amazing and taste delicious (creamy, light Belgian chocolate) and you can get a small box for just a £1. Wouldn’t they make a perfect thank you gift? And there is a plus; at such a low price kids can use their pocket money to get them for their favourite teacher. What is your idea of a perfect Thank You gift for the teacher? Do you thank your teachers? Or do you think they are doing the job they are paid to do? A map that sticks to the wall and comes with an erasable marker is what we got my sons teacher! Thanking a teacher is so important, great ideas. Thanks for sharing! Cute post. I’m a teacher, and I have to say, chocolate always is a favorite gift 🙂 also, gift cards for local coffee shops are a great idea. But letters from the kids are the only thing I keep around long! First of all, I can’t believe those shells are chocolate, they look so real! I think the perfect gift is always a handwritten note expressing appreciation. It lasts forever! I never remember giving teachers gifts in school but these ideas are cute! When my boys get older I look forward to doing teacher gifts!! Chocolate is a great idea! My mom enjoys getting candles, Bath and Body Works products, gift cards, and other cool things — there are lots of handmade crafts that are really adorable teacher gifts too! I remember giving my teacher an apple. I remember giving her a birthday card. Not flowers or candy. Sometimes kids would sneak in room early and write Happy Birthday on the Chalk Board. I love Guylian chocolate selection!!! Those shells are my son’s favorite. The chocolates look good. I like to give chocolate and a gift card as a gift. I like to buy the teachers something other than those 3 things.. We buy them soaps and gift cards..
We always gave homemade cookies or cakes, but I have heard from teacher friends that they throw them away, as they don’t trust how they have been made. The idea of homemade cookies sounds great to me. This is such a good post. Did you know in Japan they have a Teacher appreciation day? I think thats such a fabulous thing to do. In Poland we have a Teacher Day on 14th/10. I remember giving my teacher a gift in the 1st grade. She seemed to really appreciate it. I like the idea of chocolate – mainly because I’m greedy. It would be great to have something small like that from kids that they can afford. In my day there was not presents from kids… I think the teachers were just glad that they survived the term! an apple as a 1 of 5 a day? This is a good idea… most of them isn’t eating healthy despite them preaching it to our kids.